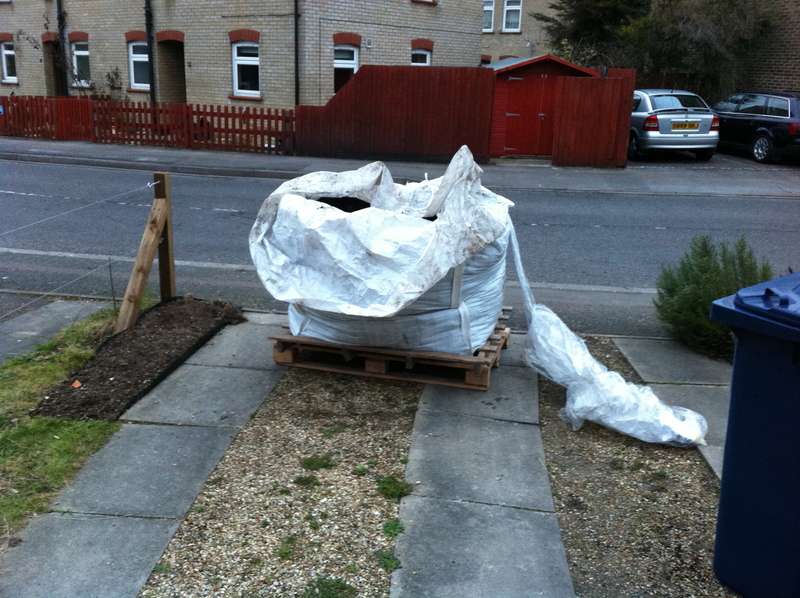 That is almost 1 tonne of well rotted manure, sat right across the drive and however you look at it, it’s one big pile of *. That’s after we dumped several bucket’s worth in the front garden borders. whose * is it anyway? I’m actually really rather worried about the sheer quantity there is. There’s just so much it’s overwhelming and it’s got to go somewhere. It feels as though with the amount we’ve got, we could raise the whole garden by at least a foot.